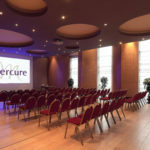 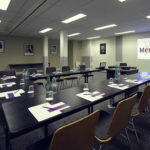 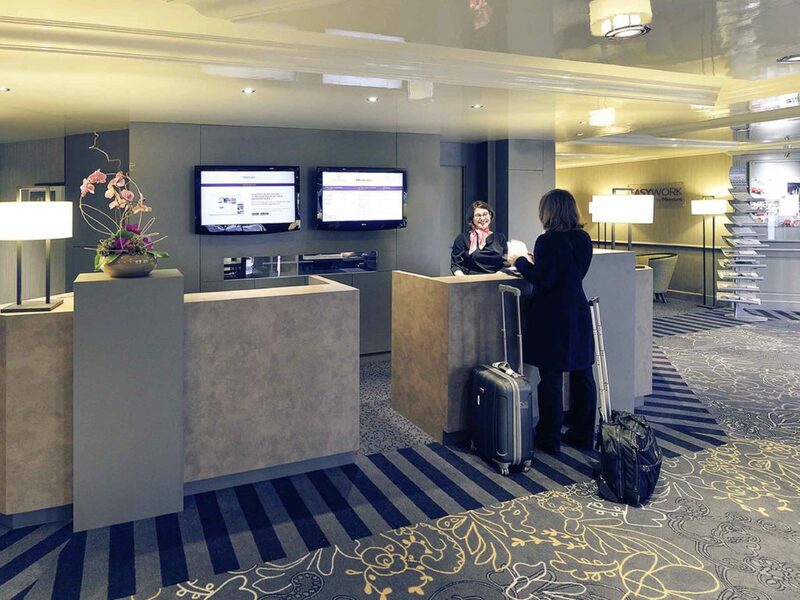 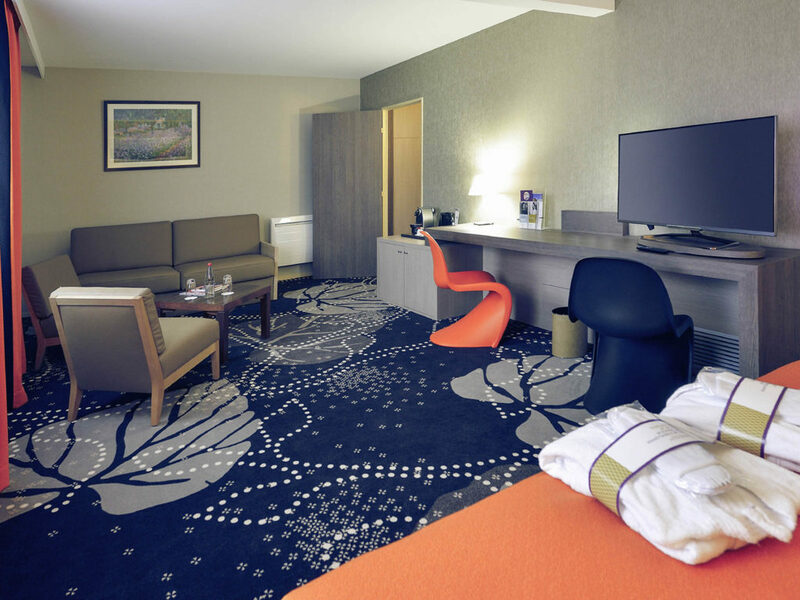 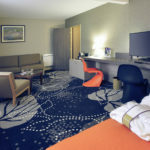 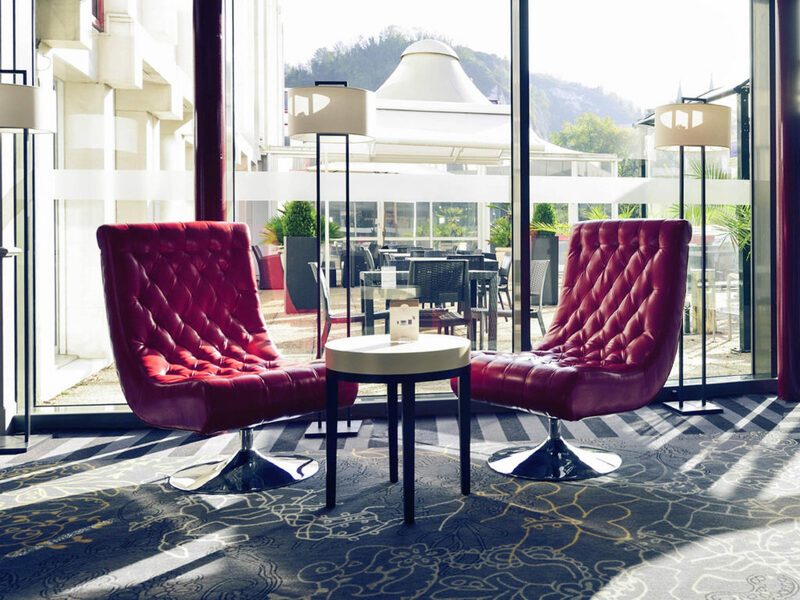 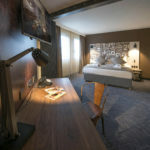 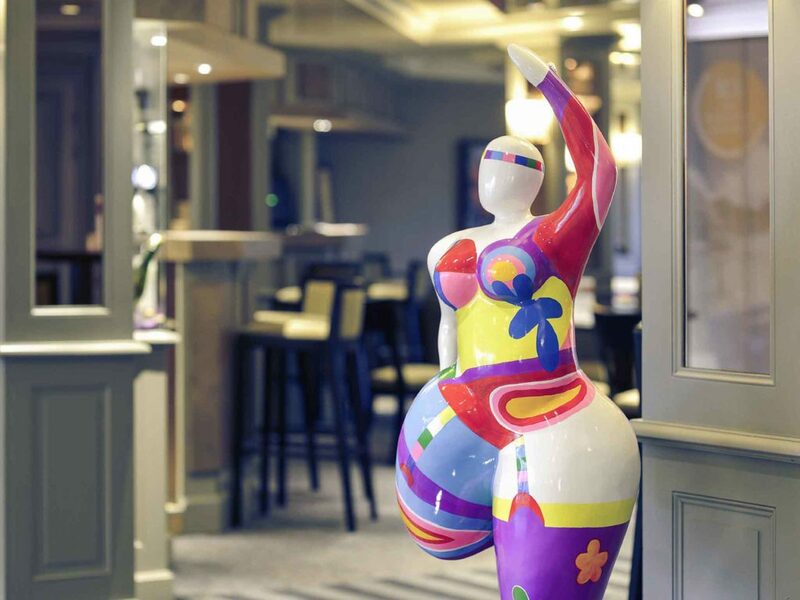 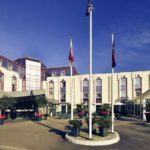 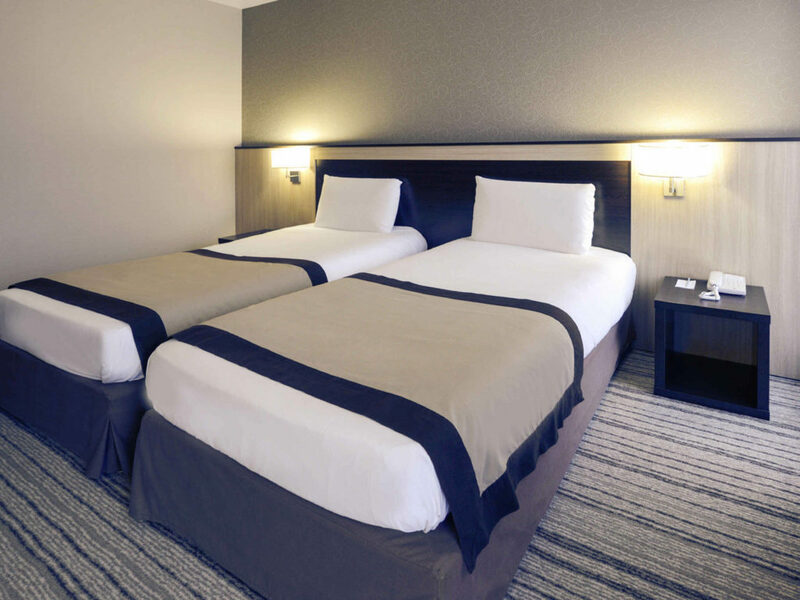 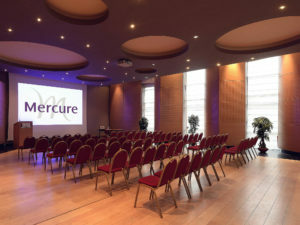 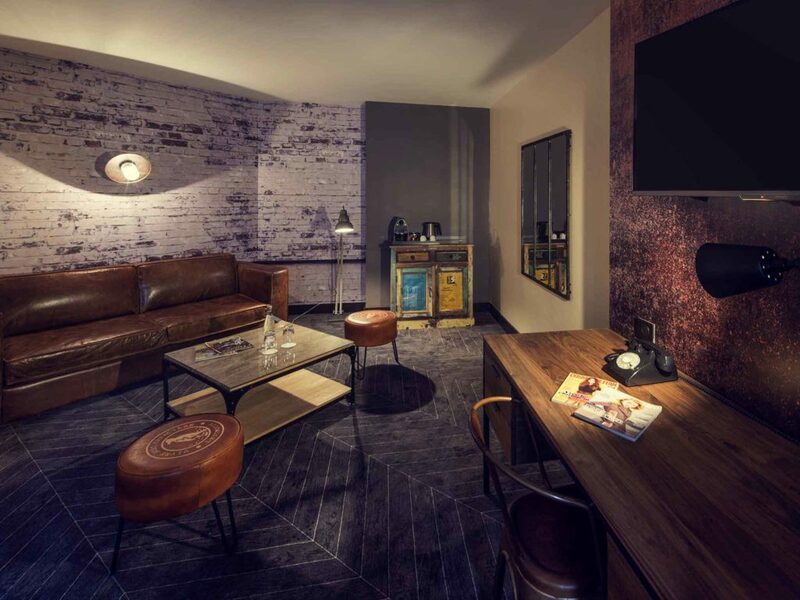 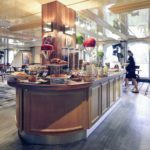 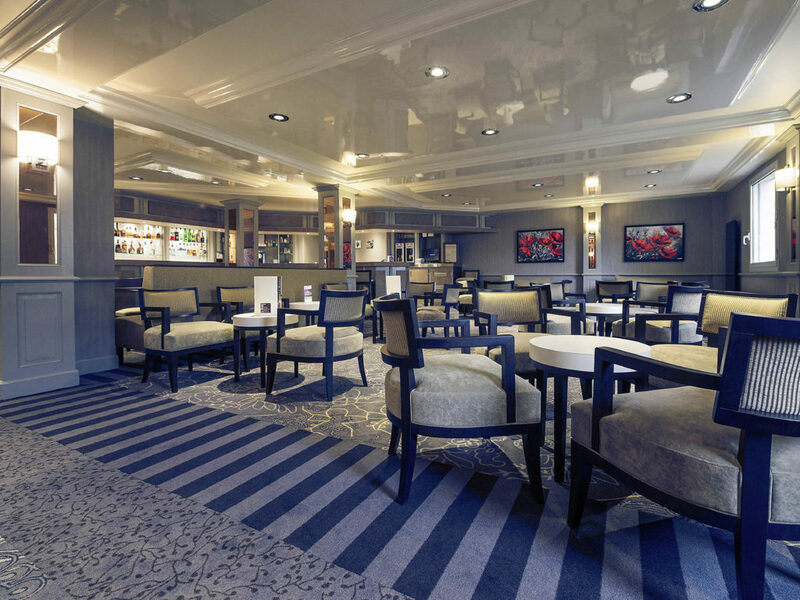 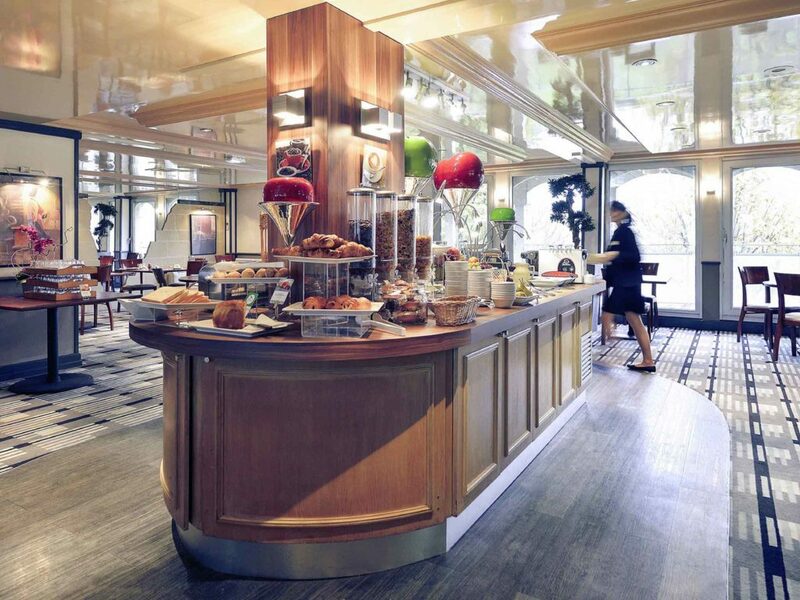 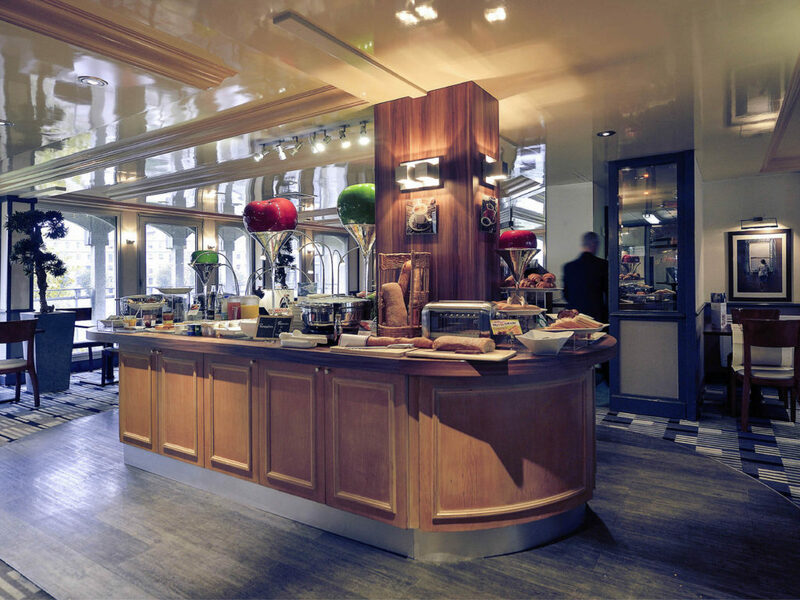 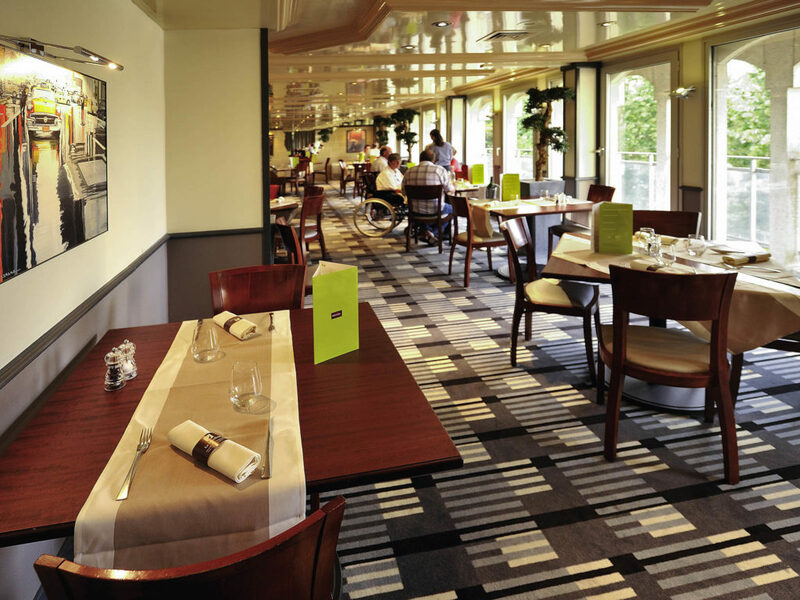 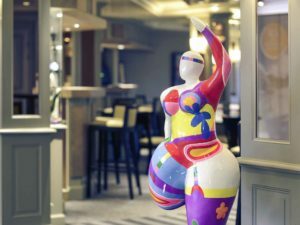 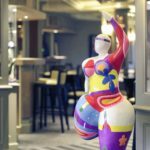 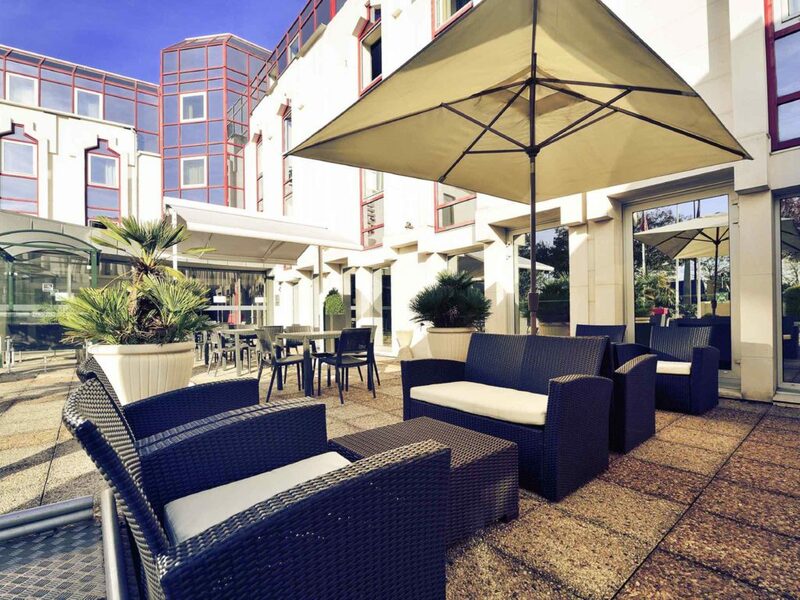 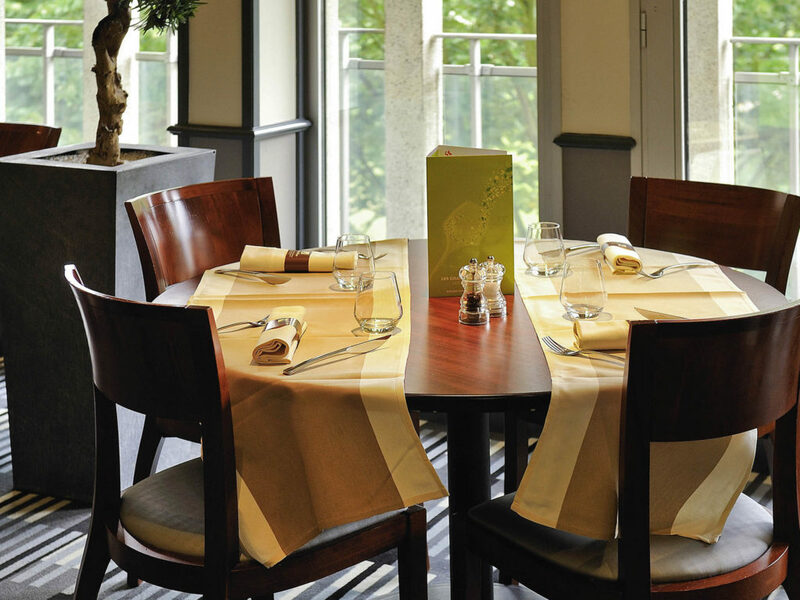 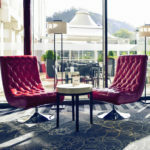 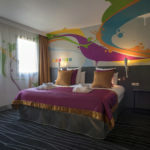 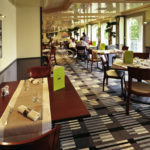 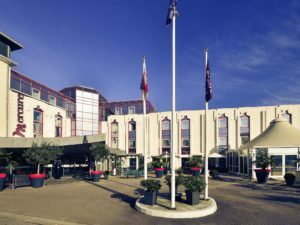 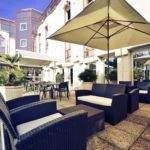 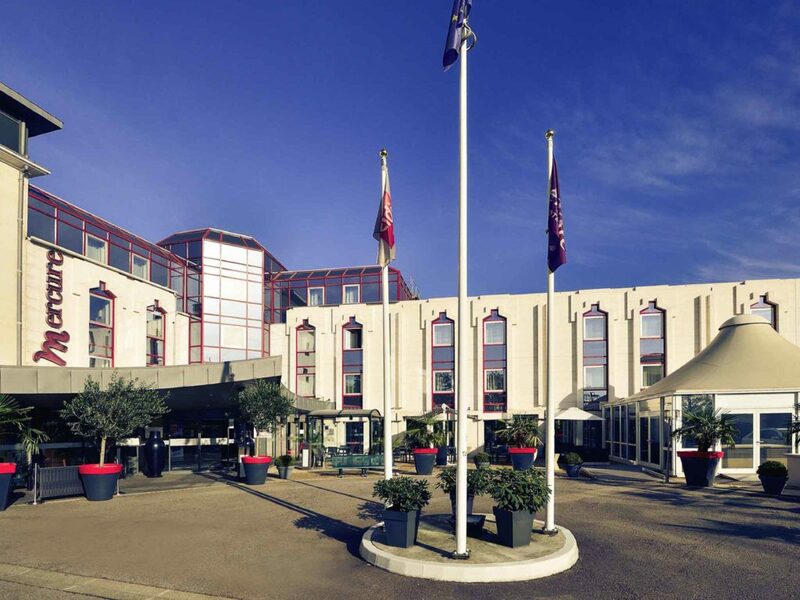 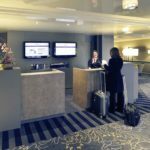 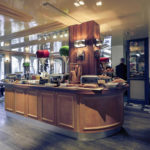 Ideally located on the Seine’s right bank and a few minutes walk from Rouen’s historic town centre, the Mercure Hotel Champ de Mars is a quality reference for business and tourist guests alike. 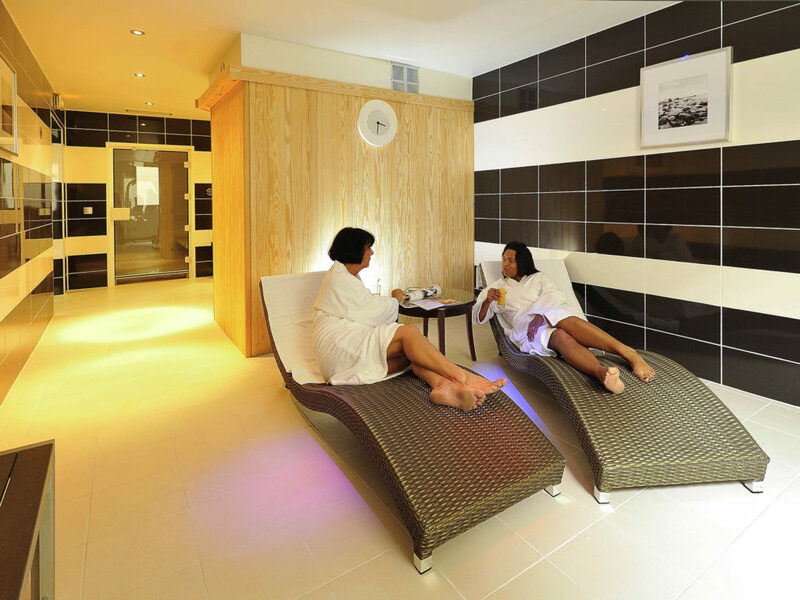 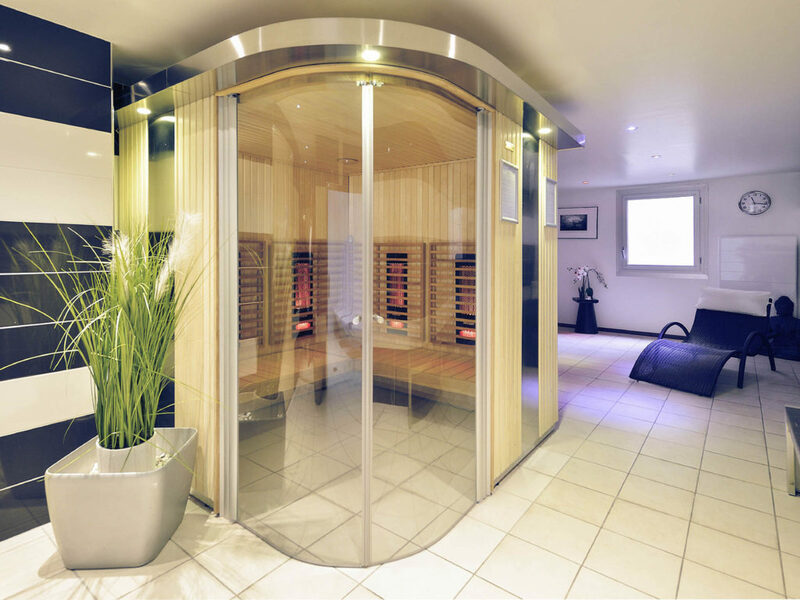 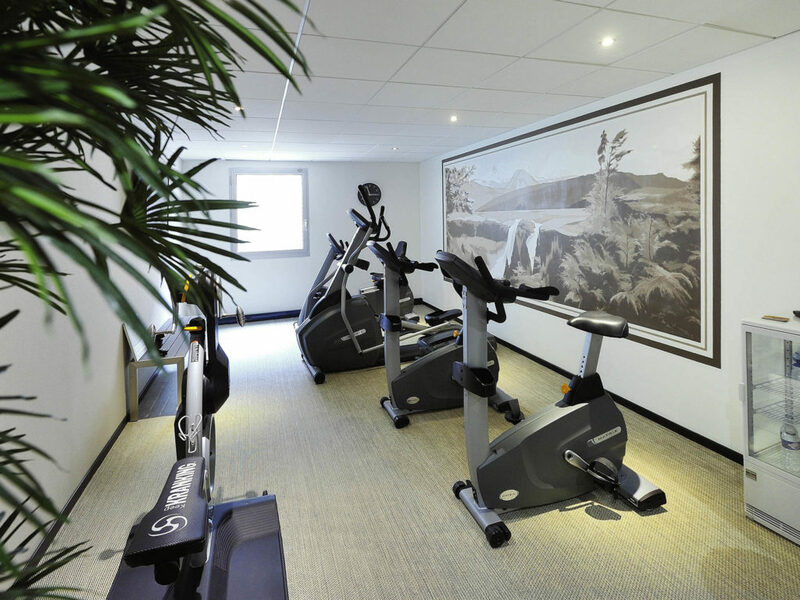 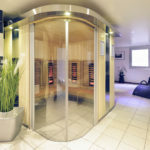 It has been completely renovated to meet the high quality requirements and to offer the best facilities. 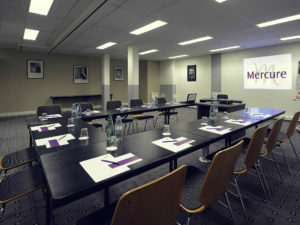 The Mercure Hotel Champ de Mars, has 139 rooms 13 meeting rooms, a traditional restaurant, and a professional team at your service. The elegant and spacious rooms are designed for a zen atmosphere conducive to rest: clean lines, beige and chocolate tones and contemporary furniture. 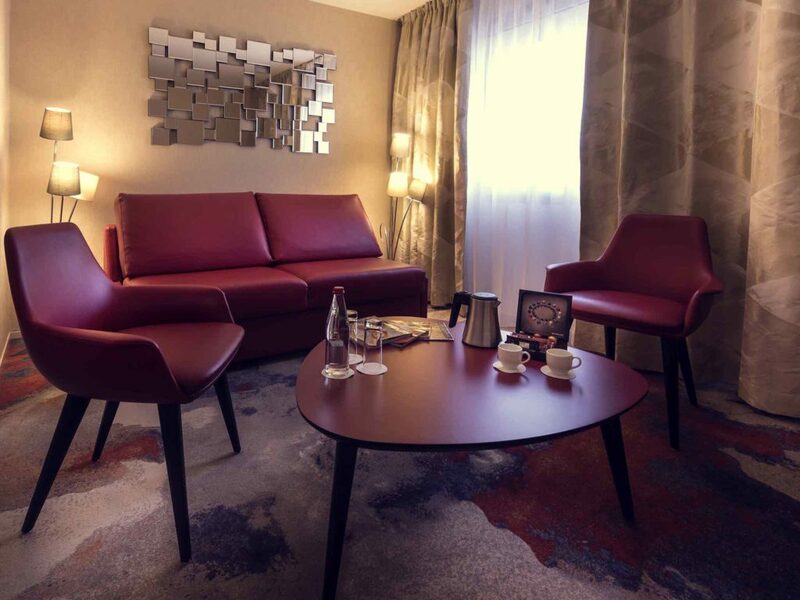 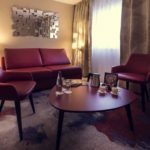 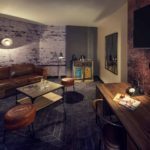 The Standard Rooms, Privileges Rooms with a lounge area, and Suites with separate bedroom and living rooms are all comfortably furnished. 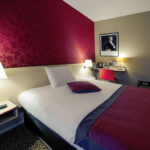 Standard Room with double bed equipped with duvet, flat-screen TV with international channels, tea and coffee making facilities and free WIFI. 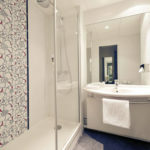 Bathroom with complimentary items, bathtub and hairdryer. Standard Room with twin beds equipped with duvets, flat-screen TV with international channels, tea and coffee making facilities and free WIFI. 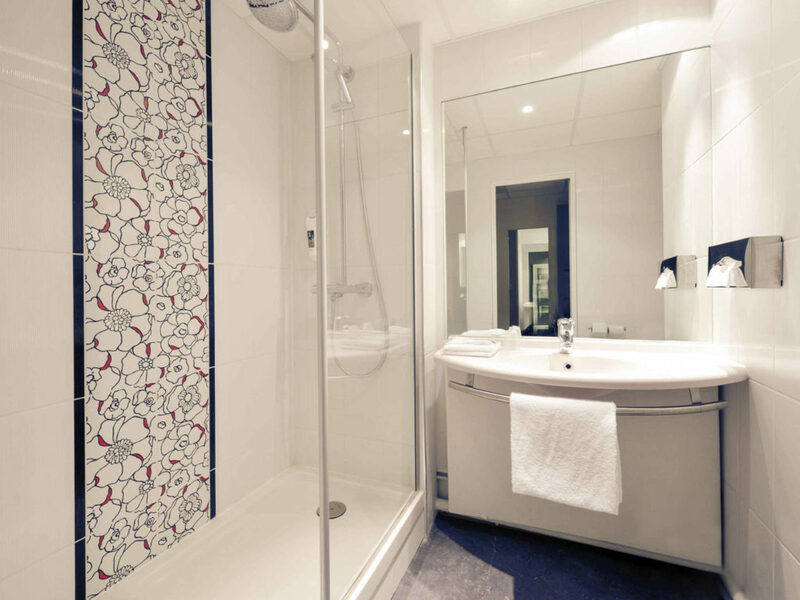 Bathroom with complimentary items, bathtub and hairdryer. 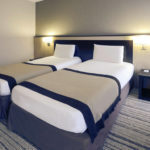 Standard Room with double bed and sofa, fully equipped with duvets, flat-screen TV with international channels, tea and coffee making facilities and free WIFI. 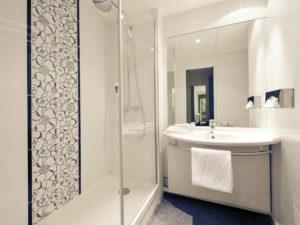 Bathroom with complimentary items, bathtub and hairdryer. 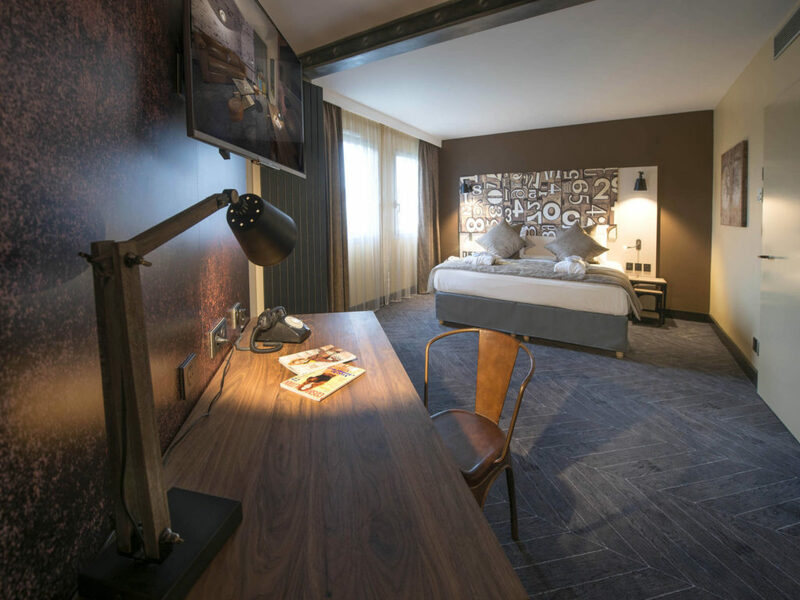 Experience the indulgence of our luxury room and enjoy the finest bed linen exclusive to Mercure, iPhone/iPad docking station, Nespresso machine and many other subtle touches designed to ensure the perfect stay, whether it’s for business or leisure. 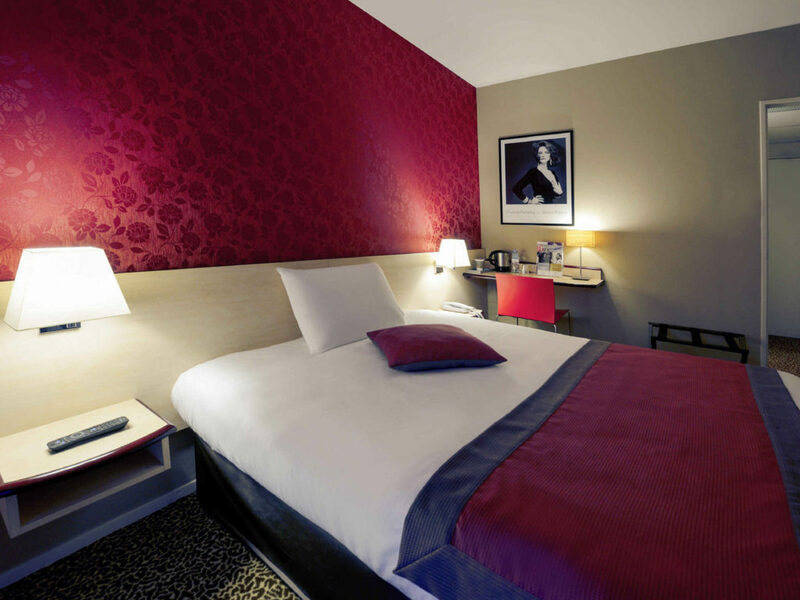 Standard Room with single bed with duvet, flat-screen television with international channels, tea and coffee making facilities and free WIFI. 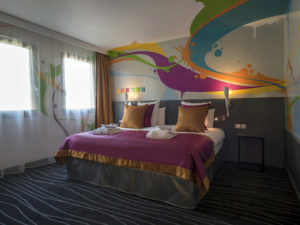 Bathroom with complimentary items, shower and hairdryer. 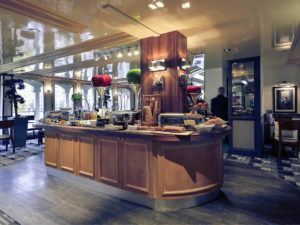 Chef Didier Brasseur welcomes you. 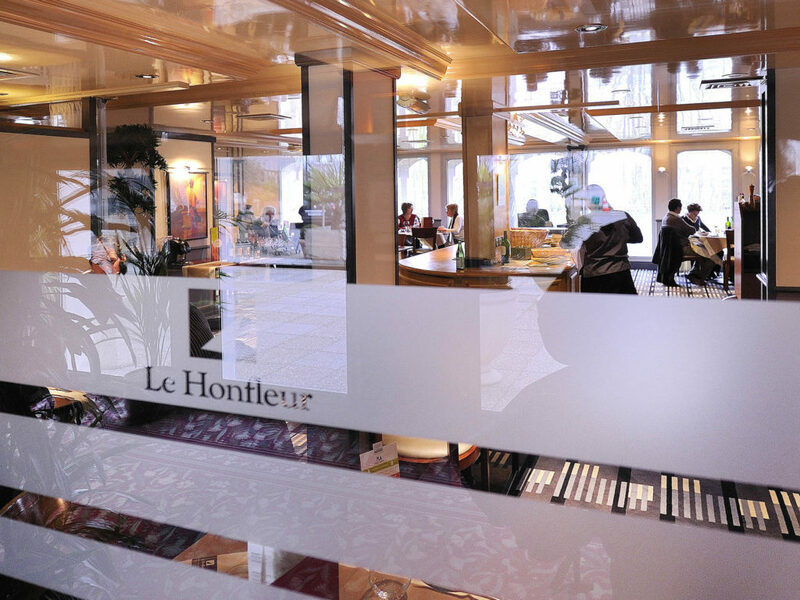 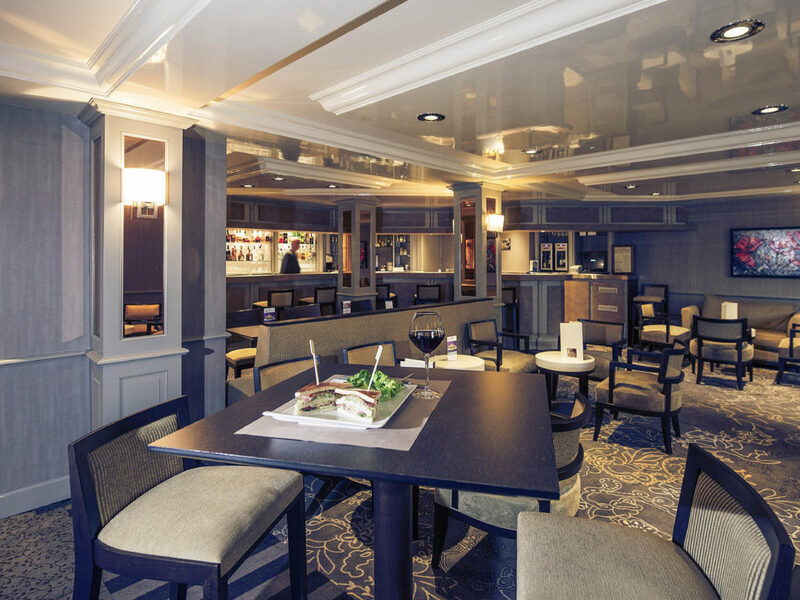 Our restaurant, Le Honfleur, offers a menu based on regional meat and fish specialties, while our bar, “Le Boston,” welcomes you in a pleasant, cozy atmosphere. 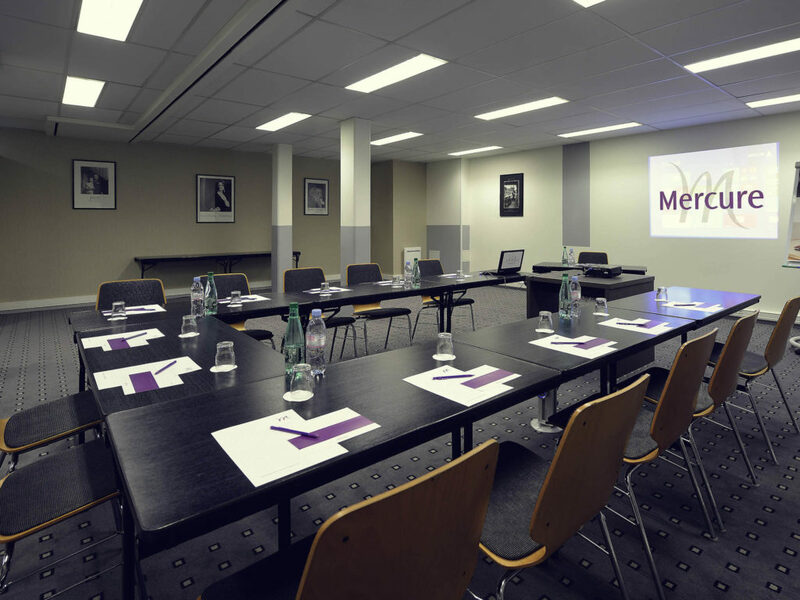 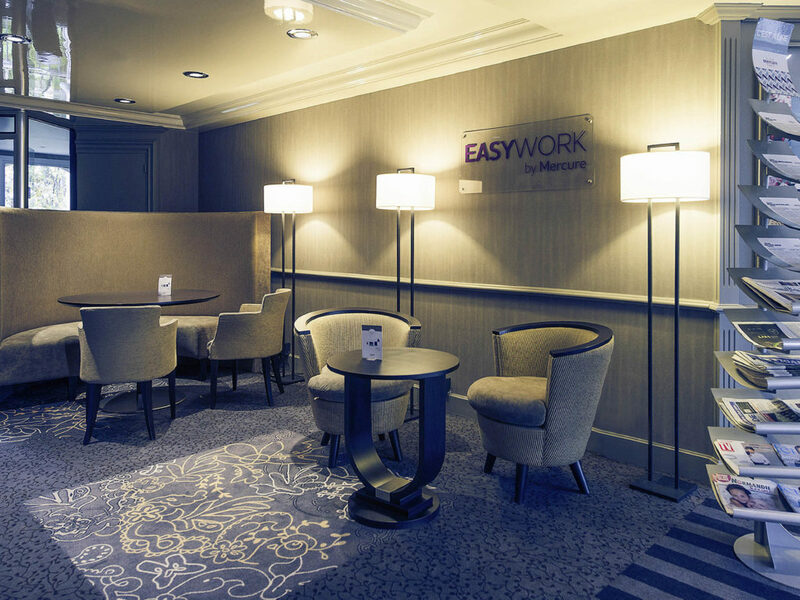 We offer 13 meeting rooms covering a total area of 10,764 sq. 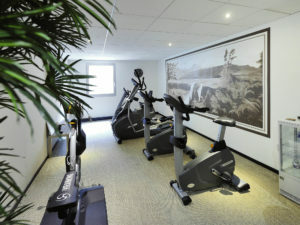 ft. (1000 m²). Our rooms are all equipped with video projectors. 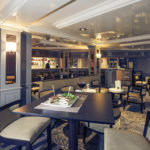 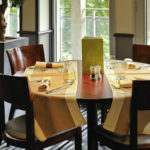 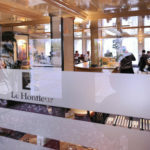 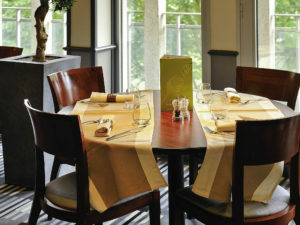 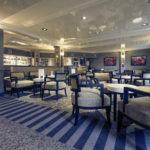 We can provide private rooms and organize your lunches, dinners, meetings, conferences or cocktail parties. 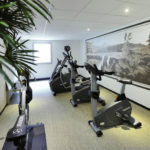 Private parking is available on site (reservation is not needed) and costs EUR 0.60 per hour.